Raise your hand if your jaw dropped to the floor when you turned to page 220 of V7 and saw Alexandra and Trevor’s candle-lined aisle in the woods…everyone? Us too!! Not only did this couple have an absolutely gorgeous wedding at the venue where they met and both work, RT Lodge, they also put so much thought into making sure their family and friends were taken care of throughout their wedding weekend. This event planner (Alexandra) and chef (Trevor) have a huge heart for Southern hospitality, and from the events guests were invited to throughout the weekend, to the private dinner served to the bridal party and immediate family before the 8:00 P.M. ceremony, to the food that was served (Trevor created the menu himself using vegetables he grew, meat from his parents’ farm, and food he had preserved), this passion was evident in every detail of their wedding. Thank you so much to Clark Brewer for sharing this magical day with us! We knew we wanted to be married in the spring! There is nothing more beautiful than a Southern spring. I love that spring is a new start, and that every year, beautiful blooms start to appear on the bare branches. Suddenly, the trees and fields are full of flowers (and so are the vases in my house). I’ve never been more anxious for spring’s arrival as I was in the weeks leading up to the wedding. The temperatures were at record lows and it was snowing the week before the wedding! Just as I was starting to think our wedding (which I had imagined covered with flowering branches and dogwoods) would look more like winter, the temperatures rose and spring came just as promised! Tell us about finding your wedding dress. What was your favorite thing about it? Getting to work with Colleen at White Orchid Bridal to have my dress made was such a special experience! The process began by just discussing ideas, and then Colleen drew some beautiful sketches for me. She used a washed silk shantung and silk organza for the majority of the dress, as well as antique laces that she cut, hand-sewed, and hand-beaded for the bodice of the dress. I was in awe of how well she executed the flowing sleeves–they were so romantic! Colleen also made a circle veil and a beaded crown with freshwater pearls for me to wear during the ceremony. How did you choose your venue? It was easy for us to pick a venue since we work at such an incredible one! RT Lodge is located in Maryville, Tennessee in the foothills of the Smoky Mountains. You get RT Lodge exclusively for the weekend and it has 60 guest rooms on-site…since most of our guests were traveling from out of town, the lodge was a perfect fit. Getting to be married at the place where we met and that means so much to us was really special! From Trevor: I made sure that my groomsmen and I were ready before the time we would start taking pictures, and then I waited and waited. I was told that Alex was just really relaxed and enjoying getting ready with all her friends and family. I anxiously and excitedly paced around the property in my tuxedo for what felt like forever, asking about every ten minutes if Alex was almost ready. When she was, there was a change of plans for the location of our first look. The photographer’s assistant walked me out to where Alex was. I walked down the path that we would walk in just a few short hours to our ceremony site. We took a small dirt path into the middle of the woods, and there she was. I could see her from a few hundred feet away, standing alone in a small clearing among the trees and hanging ivy. It was the most beautiful scene I had ever witnessed. She was glowing from far away and even more gorgeous when I got close enough to see her big, beautiful smile. The waiting, the change of location, everything made it the most perfect moment. Once I saw the rest of our bridal party, I couldn’t stop telling everyone how amazing it was and how beautiful my bride was. With a 7:45pm ceremony, we knew it would be a long day for our immediate family and bridal party, so Trevor suggested that we serve a family-style dinner for them before the ceremony. At 5:00 P.M., a group of 50 (our bridal party, parents, and siblings) gathered in the upstairs dining room and enjoyed an intimate dinner. This is when we planned for speeches to take place, and we were overwhelmed by all of the heartfelt words from our family and friends–everyone laughed and cried through the entire dinner! Getting to enjoy a delicious meal with all of our best friends, relax, and share sweet memories right before walking down the aisle is a moment in time we will never forget. From the beginning, Trevor and I knew we wanted to do a candlelit ceremony. While we were scouting ceremony locations, we realized it would be harder than we thought to find a place dark enough at 8:00 P.M. to hold a candlelit ceremony. We finally found a perfect spot, but it did require a bit of walking (and a bit of creativity). We had guests arrive at 7:00 for a cocktail hour, where they were greeted with trays of champagne and farmhouse tables full of house-made breads, charcuterie, and cheese. At 7:45, everyone ventured into the woods for our ceremony. The aisle was over 60 yards long and was lined with over 1,000 candles. Our family and friends helped us collect antique candlesticks and candelabras for the ceremony. We would get giddy calls from people after they found an antique candelabrum for us–everyone got really into the search! It was fun! Tell us a bit about the wedding ceremony. What part was most special to you? I loved getting to surprise Trevor with the song I walked down the aisle to. I will never forget the look on Trevor’s face when the strings started playing “Swept Away” by the Avett Brothers. The ceremony was so emotional and everyone seemed so in the moment. I will never forget looking around; the candlelight looked so romantic and Trevor and I were just squeezing each others’ hands so tightly as we were saying our vows. It was a moment we had talked about so much, and we were taking in every second! Did you write your own vows? If so, what was your favorite phrase, verse or line? We did a traditional Episcopal ceremony, so we did not write our own vows. The ceremony does include a series of beautiful prayers for the couple. There is something so powerful about saying the same prayers that have been prayed for hundreds and hundreds of years. Did you include any Southern traditions in your wedding? We buried a bottle of bourbon at our ceremony site a month before the wedding to keep the rain away! Trevor collects bourbon, so he loved the idea of this Southern tradition! He has a few bottles of Pappy Van Winkle and decided our wedding day would be the perfect time to try the 20-year. While everyone else headed to the ceremony, we stayed back and dug up the bottle. I have to admit, I was a little nervous that the shovel might break the bottle while he was digging it up. Luckily, the bottle didn’t break and we got some great pictures. Tell us about your wedding cake or sweets. Our wedding cake was honestly the most beautiful one I have ever seen! Lisa Cunningham at Ovenart is an incredible artist. She made over 250 gumpaste flowers that completely covered the cake. The flowers on the cake were the same ones that we used throughout the reception: dogwoods, peonies, variegated ivy, anemones, and garden roses. Her flowers were so lifelike that everyone thought they were real! The cake also tasted delicious! It was hard to choose a flavor, but we finally settled on coconut cake. We also had our baker at RT Lodge make “pecan sandies,” which are our favorite cookies. I was an Alpha Delta Pi at the University of Tennessee, so we did a sorority sing during the reception. The other event coordinator at the lodge was an ADPI at Auburn, so I even pulled her into the circle. She still had on her earpiece and microphone–I loved it! Someone told us to remember that ultimately, the day was about our love for one another, so we needed to take time for just the two of us during the wedding day, stay by the other’s side, and dance a lot. This was the best advice! I have heard so many brides and grooms say that they were so busy greeting guests that they barely saw each other. We have so many great memories together from that day! How did the two of you meet? Tell us your story. Trevor and I were both hired at RT Lodge around the same time and became pretty quick friends since we were the same age and both new to the Lodge. I always noticed how kind Trevor was, and was always impressed by how intentional he was with all of the other employees. He always went out of his way to ask people about their lives, and it was clear he had a huge heart. We got to know each other some at work, but didn’t spend any time alone until he asked me out three years later. I had been in a relationship, so he told me he had been patiently waiting for the right time to ask me out. I will never forget when he offered to cook for my friends and their husbands on his day off. He invited everyone to his home and made a delicious meal for 15 of my friends! He loves me and my family and friends so well! Tell us about the proposal! On the morning Trevor proposed, I had been working in the garden, setting things up for his birthday dinner. Trevor knows how much I love to receive snail mail, so he had planned to have a package set out for me. He placed the package on a little table by the garden and headed to go get the ring. As soon as he set it down, I was curious! I saw that it was addressed to me, so I took off with it in my hands and headed toward the house. As soon as I got inside, I ripped it open and pulled out a print (that Trevor had made by The Happy Envelope, a wonderful husband and wife team who also made our invites) that read “ Alexandra, you are my best friend and one true love. You’ve made me happier than I ever thought possible. Would you do the honor of spending the rest of your life with me so that I may spend every day doing the same for you? Love, Trevor.” I was in complete shock! I realized I had probably just messed up his plans, and in a panic, I tried sliding the print back into the envelope. Finally, Trevor came in (with tears already streaming down his face), got on one knee, and asked me to be his wife! Our families arrived shortly after, and we decided at the last minute to call and invite all of our friends to join us for dinner. We all dined outside by the garden that evening with our parents, siblings, and friends–it is a beautiful memory! What was the design inspiration for your wedding? Why was this design special to you as a couple? We wanted our guests to feel as though they had escaped to a magical place in the woods. We were very inspired by the season and wanted to incorporate lots of foraged ivy and spring flowers…I wanted the tent to look like an overgrown garden! I have always loved A Midsummer Night’s Dream, so that served as a huge inspiration for the overall feel: romantic, whimsical, ethereal. I have always been drawn to very organic, free-flowing arrangements that are reminiscent of the flowers in Dutch still-life paintings. That was really the inspiration for the flowers, and we even used different Dutch still-life paintings to line the envelopes of our invitations, and for the fry cones that were passed as people entered the tent. Briefly describe your wedding flowers: We used tons of garden roses, peonies, variegated ivy, ranunculus, dogwoods, lilac, anemones, lily of the valley, and bridal wreath spirea. My sister (who was my maid of honor) carried a bouquet, and the rest of my bridesmaids walked down the aisle in pairs and held hands. We did it to be a little silly at first, but I had so many people comment on how sweet it was. Our group of friends is so close, so it was fitting! What’s next for you as a couple? We are enjoying working together as husband and wife! In our spare time, we are hoping to get a group of farmers and chefs together to volunteer and start a farm-to-school movement to improve the school lunch programs in our areas. We are passionate about teaching people how to grow and prepare their own foods, and we hope to encourage families to spend more time together at the dinner table. Yes, my jaw definitely dropped!! I bookmarked this ceremony in SWv7 and have referred back to it dozens of times! This couple did an incredible job of making such a show-stopping, breathtaking, unique, and meaningful ceremony – one of my favorites, for sure. I absolutely adore this wedding. RT Lodge shares its property with my alma mater, Maryville College. It’s so wonderful to see that beautiful area captured so perfectly! Thanks Stephanie! There is something in the water in the Maryville area, from Blackberry to RT Lodge, I love everything I shoot there. RT Lodge’s staff, especially Alex and Trevor, make that place so special. It’s my favorite place to shoot these days. So beautiful. I enjoyed reading this so much!! 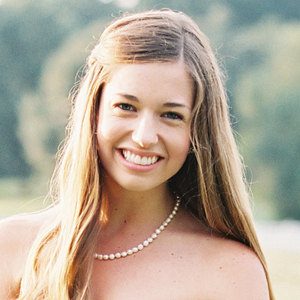 I always love reading about Southern weddings, but it’s even more special when I see faces of people I know and adore! !